Spray this mist and call on St. Joseph to watch over your family. Invoke this saint for good fortune in a home and when moving. Use it this spray for a speedy prosperous sale of real estate. Feel the energy of protection and safety. Spiritual Uses: Use this spray when you are ready to open to hear and heed messages from angels and the Divine. St. Joseph received dreams and messages to take care of Mother Mary and Jesus – his wife and his son. He paid attention to his dreams and followed the directions provided to him. St.Joseph was the earthly father of Jesus the Christ and Mother Mary‘s husband. 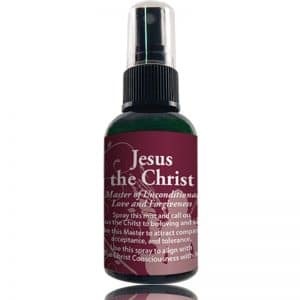 Use this spray to invite a spiritually aligned relationship with your own father or father-figure. 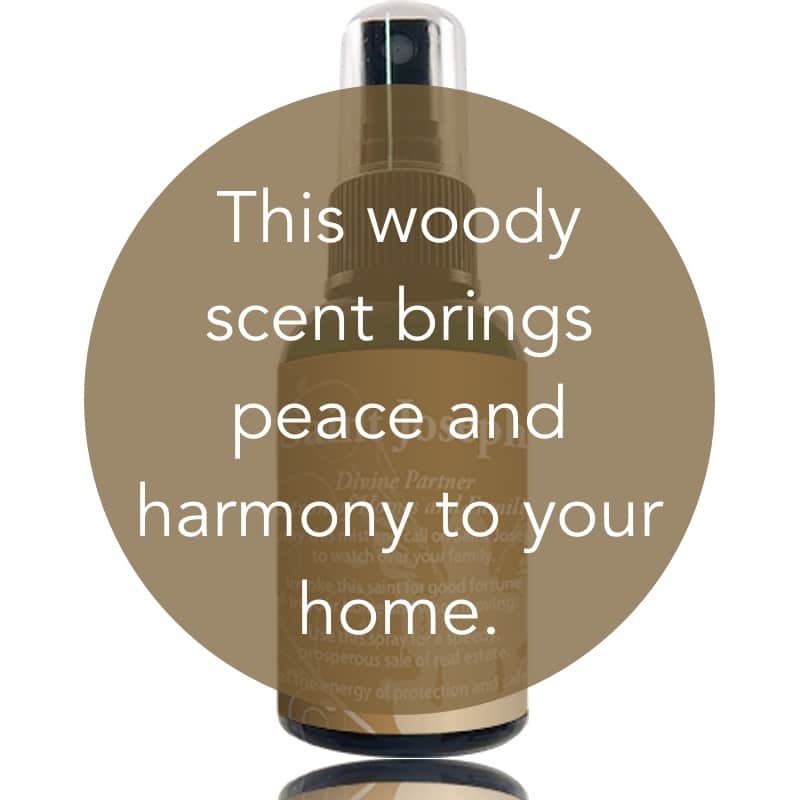 Spray this heavenly scent to amplify the best of life partners with a heart-to-heart connection to the Divine spark within. Mental Uses: Spray St. Joseph to help you to pay attention to what you are are thinking in regard to the safety your home. Focus on seeing your own spouse or significant other as a good protector and support in your life. 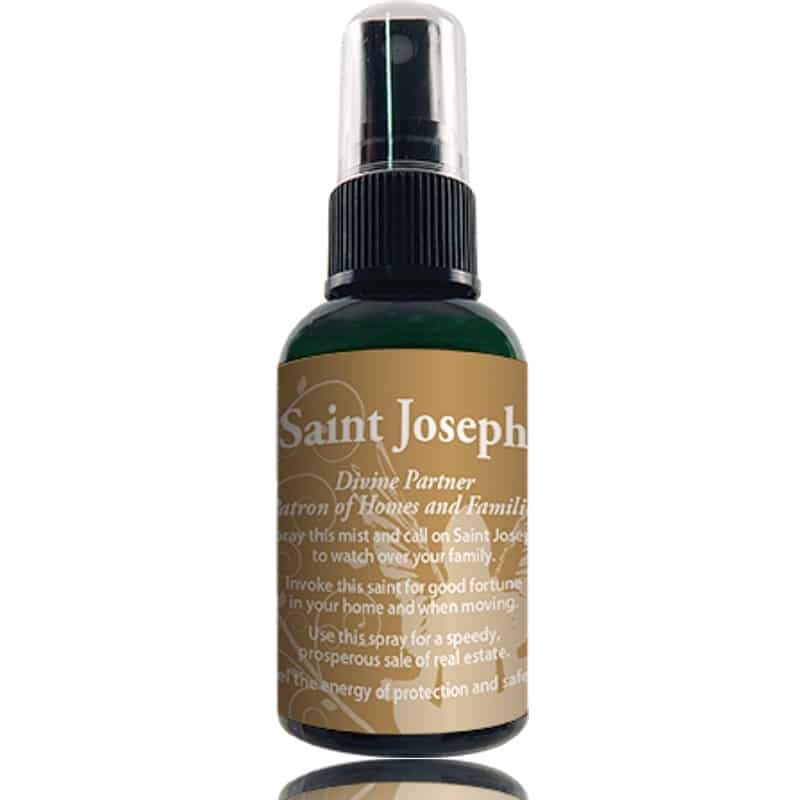 Emotional Uses: Use St. Joseph spray to overcome worries regarding your romantic relationship and long-term partner, Use it to release worries about the successful sale of real estate or your personal home. Physical Uses: Want to manifest a great life partner – someone who accepts you just as you are with all your good aspects as well as baggage or faults? St. Joseph was able to accept and protect Mary as his wife even though she was already with a child conceived in a very unusual Divine way. St. Joseph helps bring supportive friends, family, and/or significant others into your life. Draw in unconditional love and support. He is also a patron for carpenters and builders.